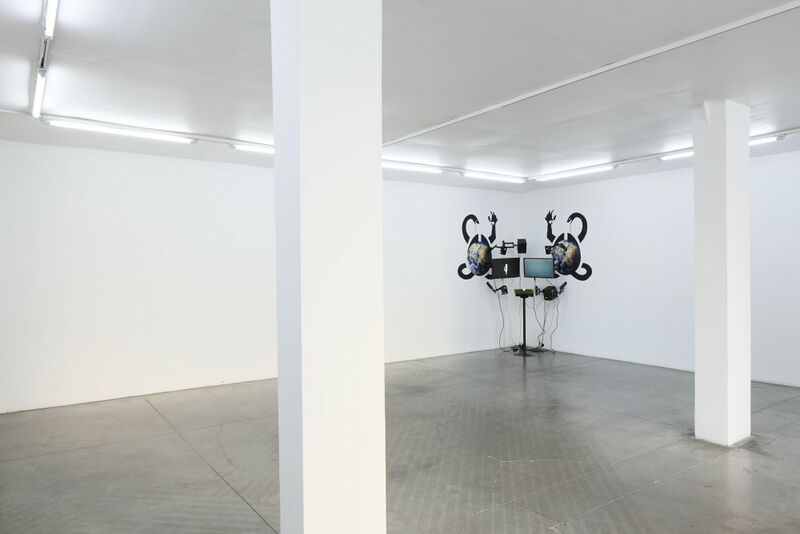 Proxyah is a solo exhibition by Latvian born, London based artist Viktor Timofeev. Working between multiple spaces, countries, languages and disciplines, Timofeev has an interest in modes of re-presentation and systems of order and control. Proxyah, stemming from an affirmation (“yeah”) of a remotely performed action (“proxy”), adopts a familiar yet enigmatic structure that tests the limits of language when it is depleted of its ability to be referential. Timofeev’s process involves absorbing and compiling materials from a variety of sources (field recordings, stock media, computer-generated imagery etc.) and then tweaking and re-presenting them, in this case within the context of a computer game. With a critical awareness of the tactics used in video game display and advertising, Timofeev borrows symbols and imagery, then conflates their reference with his own idiosyncratic vocabulary. 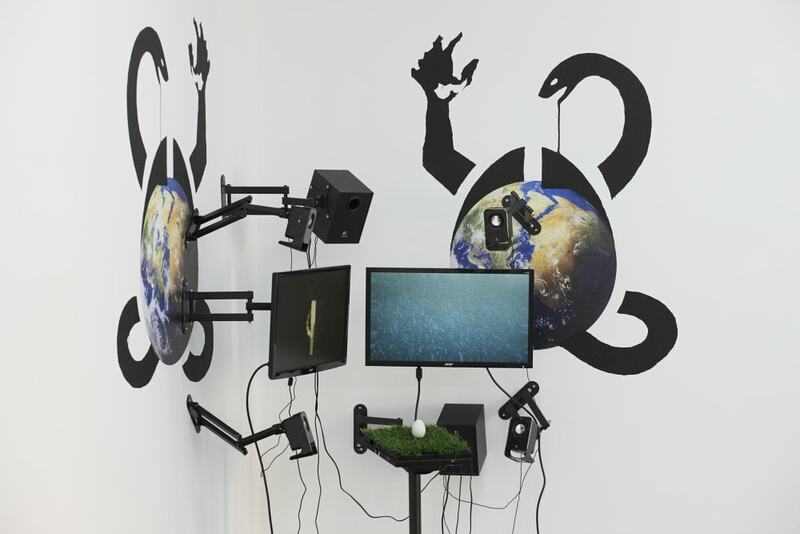 Within the game itself, Timofeev employs a non-linear, generative structure to create a parallel world accessed through manipulation of an egg-shaped controller. In this way, the work fully reveals itself only when interacted with, otherwise resting in a passive “sleep” state. As a player you have a finite level of control; the moves you make effect the outcome and the trajectory, yet exactly how is difficult to ascertain. Even traceable actions, moves that can be followed, are clouded in relation to other potentially more powerful systems simultaneously at work. Proxyah presents an overloaded game-space which mimics our networked contemporary reality; a collation of fragmented and dispersed sounds, images and actions that are always affecting and being affected by obscured systems that constantly change and re-orient. Viktor Timofeev (b.1984) received his Bachelor of Fine Arts from Hunter College, New York (2008). Recent exhibitions include Palace Of Peace and Reconciliation Tour at Arcadia Missa, London (2014), Embarrassment Party at embarrassmentparty.biz (2014), What Thinks Me curated by Monika Lipsitz and Juste Kostikovaite at Taiga Art Space, St Petersburg (2014) , Selekthor at minerpie.net (2013), A Sense Of Things at Zabludowitz Collection, London and Palazzo Peckham at the 55th Venice Biennale (2013). 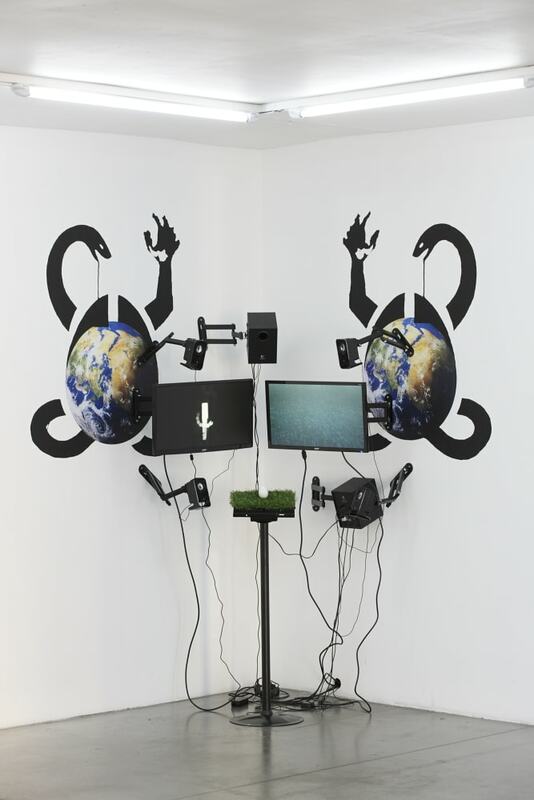 Proxyah was developed while Timofeev was participating in the artist-in-residency program at Jupiter Woods in London, where it will also be hosted in January 2015.